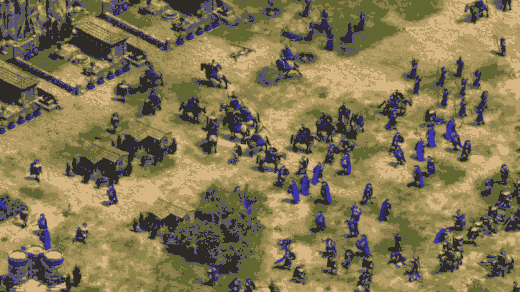 There is good news for the fans of classic real time strategy (RTS) as an announcement has been made by Microsoft to 4K remaster of Age of Empires game at E3. “Age of Empires: Definitive Edition” is the name given to this change in the series. So far, millions have played this genre-defining game while a whole generation of strategy game fans was lover of this game. According to Microsoft, this definitive edition of the game has been introduced with graphical improvement and addition of new quality of life gameplay changes. It looks like the new version is lot different from the old pixilated old version. There are higher resolution textures in the Definite version. Due to change in zoom levels, now you can view the whole battle at a time instead of small units fighting each other that will help you to track everything in the battle. There is an addition of support from Xbox Live multiplayer while there is also inclusion of a new campaign. This new campaign is not important for most of the experienced players but casual players will really like this addition. Microsoft didn’t mention other gameplay changes so far while there is also no announcement regarding release of this new version but if you want to try the Definitive Edition then you can participate in the beta. Further details about the Definitive Edition will be announced in August at Gamescom, Germany. Before this remaster, Microsoft use this strategy for the games of “Age of Mythology” and now we are waiting for remastering of the “Command and Conquer” series.